Music is subjective, but you’d be hard-pressed to find disputes over the ice-cool quality of jazz. It’s more than a sound: it’s a mature, soaring tribute to the more considered aspects of life, like a glass of scotch and a quiet night in your favourite chair. Or it can be a raucous affair, in step with the spirit of the genre’s pioneers in the 20s and 30s. 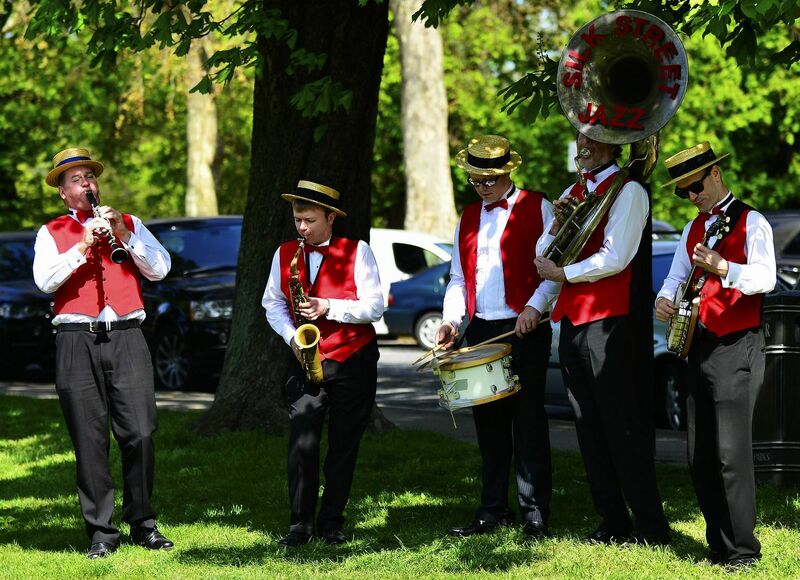 For this reason, jazz band hire is a versatile prospect for your next event. First off, it’s crucial to know just what kind of jazz you’ll appreciate. It has a history that spans more than a hundred years of influence, from many corners of the globe. Countless eras and cultures and have left their mark on how jazz is performed. Ragtime: All of jazz music sprung from the ragtime trend at the turn of the 20 century. Waltzes, marches and alehouse dances were characterised by African dance rhythms, which came from the emancipated black community in America. It’s characterised by heavily syncopated beats, in which the lead piano is king of the arrangement. Hot jazz: We can pin this subset on Louis Armstrong, who released the first of his Hot Five albums in 1925. He brought an improvised touch to the genre, popularising the brass jazz solo. These jazz artists tend to follow his lead, blowing wild melodies out of the blue and seeing how far they can take them. Swing: Funny as it may seem today, jazz had a healthy reign in mainstream music, most pertinently when swing bands came to the fore in first half of the 1900s. Otherwise known as the ‘New Orleans style’, it was designed to get people on their feet, being the most danceable and frenetic sound with the biggest number of players. Bebop: With legends like Charlie Parker leading the way, bebop was a novelty in the 1940s, but has defined everything that became modern jazz music. Solos were taken to a new extreme, weaving around a helter-skelter tempo that can change on a dime. Nu jazz: Recent decades have seen these sounds infiltrate soul and electronica. Fans may describe it as ‘nu jazz’, relating to the dance beats, synthesisers and ambient effects that crop up on some post-90s records. So, now that we have a basic outline of the styles on offer, it’s time to imagine what theme your event might take, and how a jazz booking can accentuate it. As a general rule, you’ll be tapping into a long musical legacy. It’s a form of music that can revive the sensations of the past, even if the setlist is packed with modern hits. A corporate awards ceremony, for instance, is the absolute nadir of good taste. Black-tie occasions therefore have an ideal match in jazz groups. You can ask them to play each award recipient on and off the stage, or turn the heat up for dancing later on, after the main prize has been given. What about wedding entertainment? We suggest a parade-esque band for vintage receptions: they can march around the venue, getting everyone involved and keeping the energy high through the evening. In any case, you should ensure that there’s some form of class, elegance and old-school charm to your event, before making that booking. The band will seem out of place otherwise. Assuming you’ve done the research, scouring the web for options, it’s a great idea to hone in on what makes the act special, distinguishing them from the competition. Reputable jazz bands for hire will have plenty of videos, audio links and review. Read, listen and watch anything they provide. Anyone can advertise themselves online – actions, however, speak louder than descriptive trumpet words. This is also the stage where you discover if they’re fully certified and insured, giving you confidence in your booking. Refer back to our genre style breakdown: those definitions carry a level of personnel, in many cases, that work to get the sound you’re after. Obviously a larger band is going to cost more, so it affects the overall state of your budget and theme. You might want a basic three-piece group for an intimate affair; cocktail parties, perhaps, or a funeral wake. A swing unit, on the other end of the scale, will demand a horn section, guitarist, drummer and (possibly) clarinet player, suiting a more feverish crowd in a large space. Jazz bands for hire should give you a few options regarding the line-up. But it’s a good idea to have a semi-vague impression of what could be suitable. Got a date in mind? Nailed down your prerequisites? Then go for it – make the call to the band in question, or reach out via email. As long as the performance slot is a couple of months ahead, they should be able to accommodate you. Draw on this guide for reference if you get stuck! As it happens, the Silk Street Jazz Band is your most assured route to a fantastic time, whatever the personality of your occasion. We practice everything we’ve preached today; our reputation precedes us nationwide, and we’d be honoured to tackle the musical chops of your upcoming ceremony.